First up we have our new Jolly Roger backpacks. 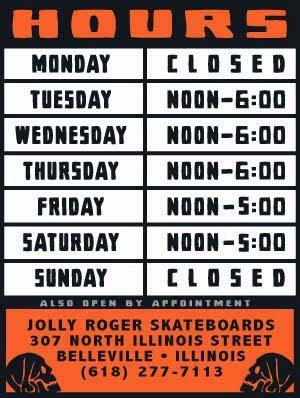 We have our JOLLY ROGER - BACKPACK/STOOL COMBO that would make the perfect gift for that kid that just likes to go to the skatepark and text instead of skating. Then we have our JOLLY ROGER - TACTICAL BACKPACK that is our solution to all of the crappy backpacks that all the big skateboard companies are peddling these days. 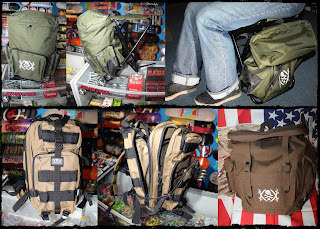 And finally we have our JOLLY ROGER - EURO-STYLE RUCKSACK that just looks hip. And instead of just pandering to the kids out there we also have some new gear for the mothers, fathers and other gun enthusiast out there that can appreciate the second amendment. 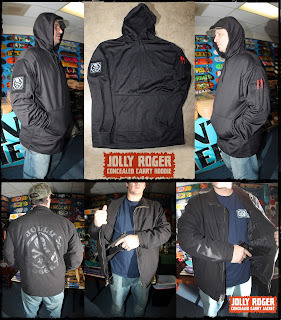 Our JOLLY ROGER - CONCEALED CARRY HOODIE w/Jolly Roger patch features a 4.5" x 4.5" zippered pocket and thumb holes in the cuff. The right sleeve features a Jolly Roger patch while the left sleeve features 2 pen pockets and a wire pass-through port. With an extended length and wider kangaroo pocket complete with ambidextrous pass through for a quick and easy draw. Our JOLLY ROGER - CONCEALED CARRY JACKET features a washed 100% cotton outer shell and polyester inner lining. The casual jacket comes with a tactical twist it features two inner concealment pockets (one on each side) with hook & loop closures and four inner mag pockets with hook & loop flap closure. Additional features include; two tricot lined front zipper pockets, button closure wrists, and button adjustment waist straps.